Spoguļi Šeit ir 32 preces. 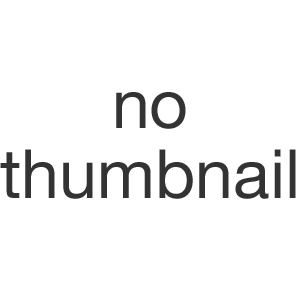 Channel-frame. Type 430 stainless steel with bright-polished finish. Mitered corners. Frame screw permits easy replacement of glass. No. 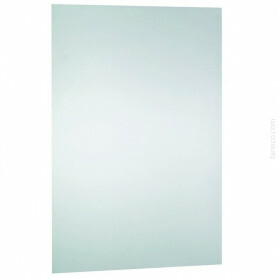 1 quality, 1⁄4" (6mm) glass mirror; warranted against silver spoilage for 15 years. Galvanized steel back. Secured to concealed wall hanger with theft-resistant mounting. Fixed mirrors with a frame manufactured of stainless steel AISI 304, 1,0 mm thick. 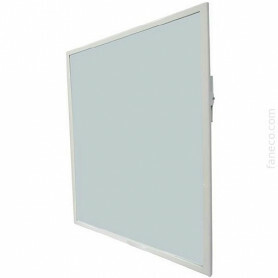 Mirror manufactured using a first quality glass 5 mm thick and it is backed with a medium density fiber shock-absorbing and waterproof board that reinforces the glass, making it stronger. Maximum durability and rusting resistance. Angle-frame. Type 304 stainless steel angle with satin finish. Corners heliarc welded, ground and polished smooth. 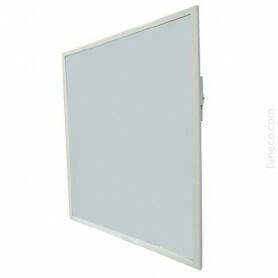 Beveled frame edge at mirror for improved appearance. No. 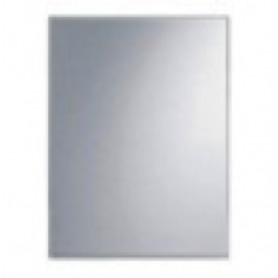 1 quality, 1⁄4" (6mm) glass mirror; warranted against silver spoilage for 15 years. Galvanized steel back. 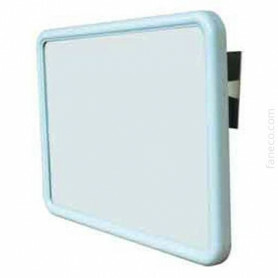 Secured to concealed wall hanger with theft-resistant mounting. 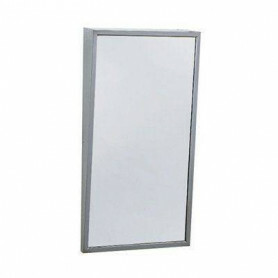 Adjustable tilt mirrors with a frame manufactured of steel (EP0300) or stainless steel AISI 304 (EP0300CS & EP0400CS), 1,5 mm thick and with a high quality glass, 5 mm thick. Tilting control bracket made of steel (EP0300) or stainless steel AISI 304 (EP0300CS & EP0400CS), 2 mm thick and it allows the mirror to be tilted forward for barrier free utility. 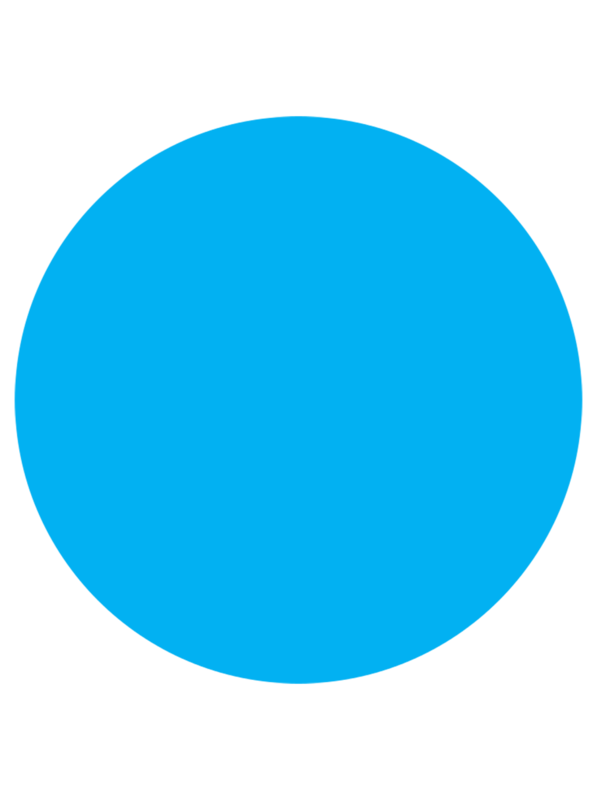 Provides easy visibility for wheelchair users. Tilt forward to provide full visibility for wheelchair patients or return to upright position. Frame is 3⁄4" x 3⁄4" (19 x 19mm), type 304 stainless steel angle, satin finish. 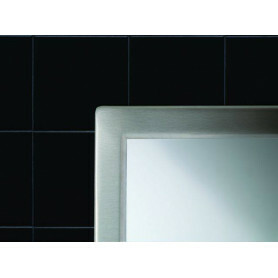 Beveled edges of frame hug mirror; provides gapless fit for improved appearance, and safety when cleaning mirror. No. 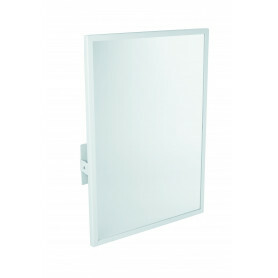 1 quality, 1⁄4" (6mm) glass mirror; warranted against silver spoilage for 15 years. 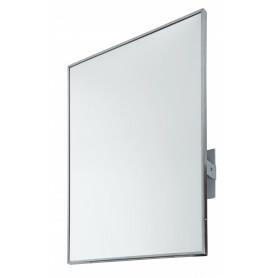 Top of mirror tilts 7" (180mm) from wall with self-locking mechanisms; bottom of mirror mounts to wall with full-length stainless steel hinge. 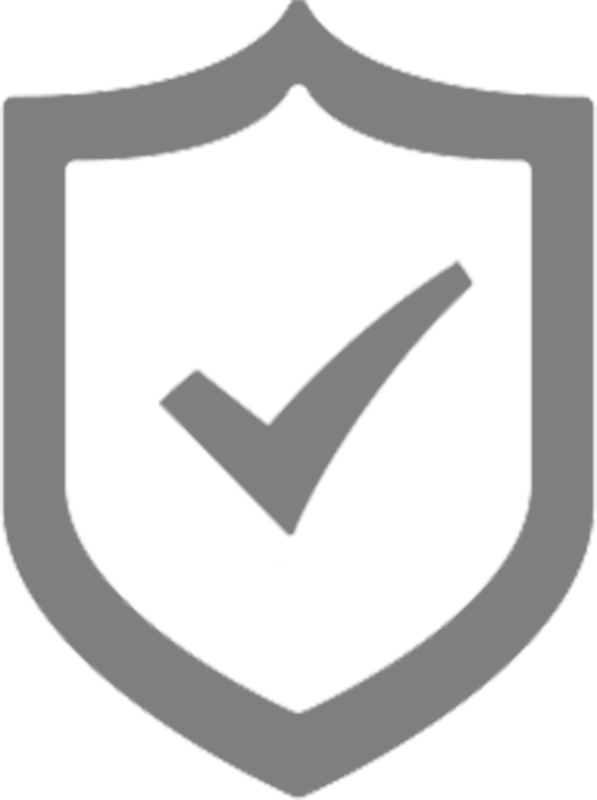 Provide visibility for wheelchair patients. Frame is type 304 stainless steel, satin finish. 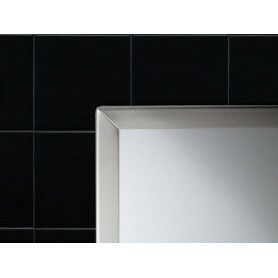 Beveled edges of frame hug mirror; provides gapless fit for improved appearance, and safety when cleaning mirror. No. 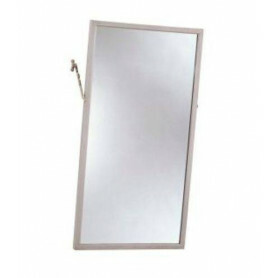 1 quality, 1⁄4" (6mm) glass mirror; warranted against silver spoilage for 15 years. 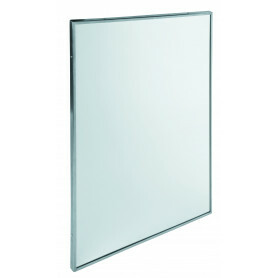 Mirror extends 4" (100mm) from wall at top and tapers to 1" (25mm) at bottom.